The māhele, or division of lands between Kamehameha III, the chiefs, and the konohiki was authorized by the Privy Council in December 1847. 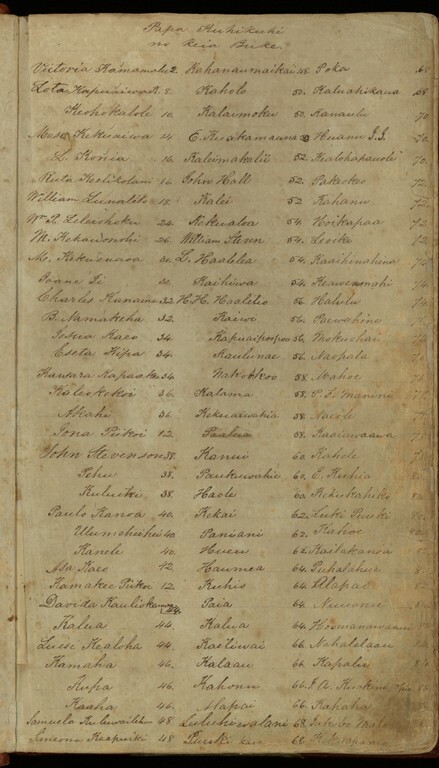 The māhele is a single transaction that commenced on January 28, 1848 and ended on March 7, 1848. 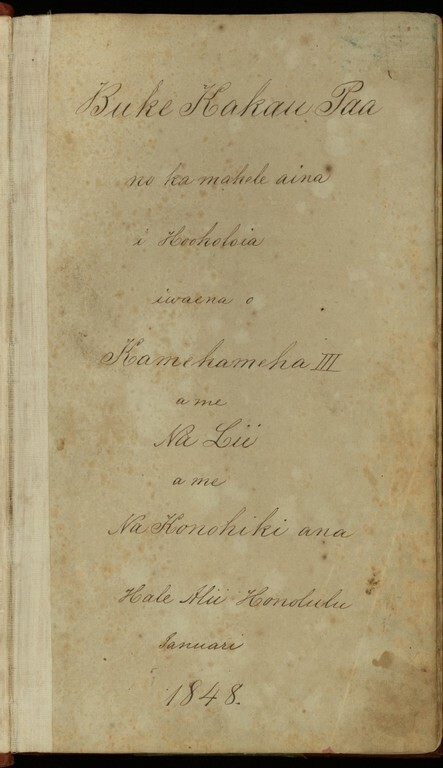 The transaction is recorded in the Buke Kakau Paa no ka mahele aina i Hooholoia i waena o Kamehameha III a me Na Lii a me na Konohiki ana, commonly referred to as the Māhele Book. Below are images of the title page and the first page. Click here to view the entire Māhele Book.